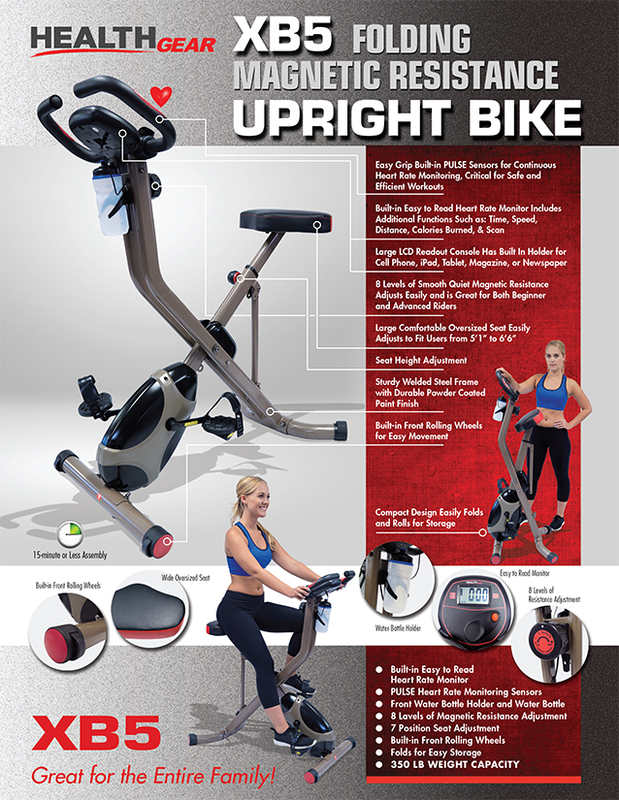 If you have tried using other exercise bikes and after 5 minutes were uncomfortably squirming on the tiny seat or if you couldn't adjust the seat and handlebars height to match your body shape so your knees were not hitting the frame, then we have a solution for you. Despite its "space saving" fold and roll design, the Health Gear magnetic bike delivers a challenging cardio workout in the comfort and privacy of your own home. A high velocity precision machined flywheel provides an ultra-smooth and quiet ride. The easy to mount frame with self-leveling pedals and adjustable safety straps provide easy and convenient use for all ages.